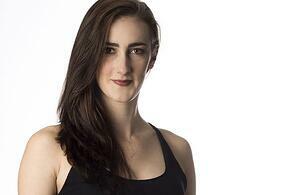 Jordan Reinwald is a dancer, aerialist, and choreographer originally from Lincoln, NE. She has performed professionally, nationally, and internationally with Winifred Haun and Dancers, Khecari, Cerqua Rivera Dance Theater, The Catskills Ballet Theatre, The Civic Ballet at the Ruth Page Center for the Performing Arts, Aerial Dance Chicago, C5 Create With No Limits, and as a promotional performer for Theater Mama with Cirque Du Soleil, among others. Reinwald will began the full-time Circus Arts certification program at The Actor's Gymnasium in the Fall of 2018. She teaches ballet to all ages all around the Chicagoland area.